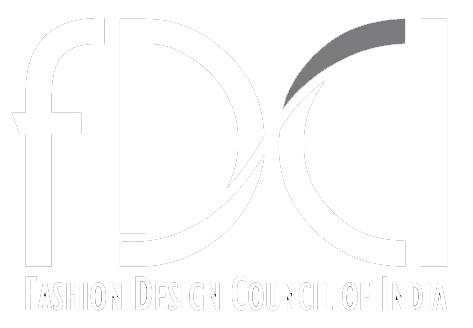 Designers look at fashion through the prism of crafts while some chart a new plan with anti-fits and oversized silhouettes. Septum rings, bindis that fastened mouths, armbands, saris this time worn with dresses, not jeans not a white button down shirt, reminding you of the flapper era with fringes and of course, the beautiful, beautiful Tabu! 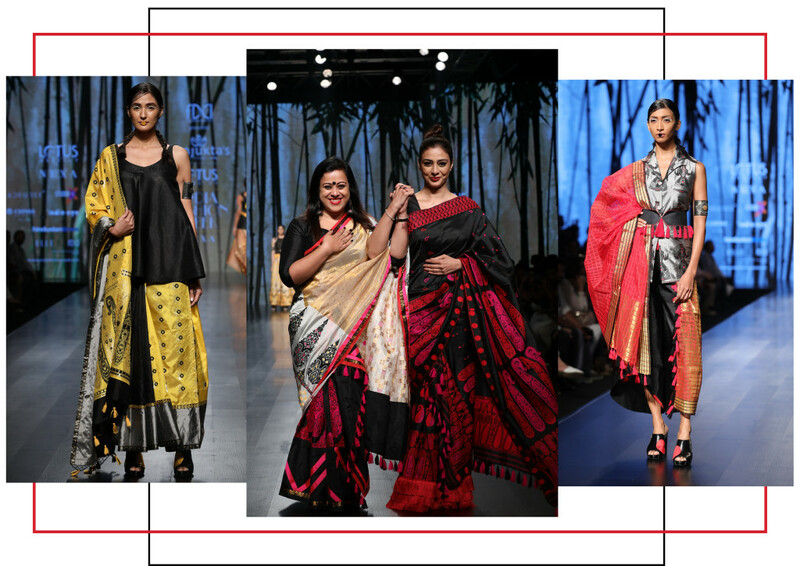 Assamese designer Sajuckta Dutta brought to life hand woven muga silks, which takes almost 25 to 30 days to make one garment. 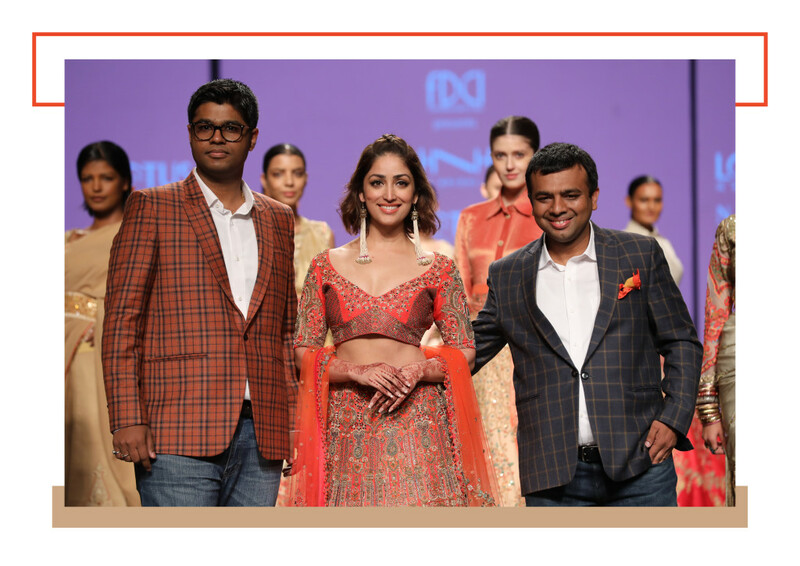 “I’m happy that Tabu has supported this cause of a dying craft that needs to be resuscitated,” said Sanjukta. “I have worn a sari after a very long time and I appreciate what Sanjukta is attempting to do. It’s not just a sari it is days of laborious work to make this piece of art that you can preserve for generations. I love fashion weeks because there are so many people working hard to put together the whole look,” said Tabu. It was a day of star bursts and Sunil Shetty’s lovely daughter Athiya, who in red managed to tower over everyone makes your heart sing as she turned showstopper for PoshPride. 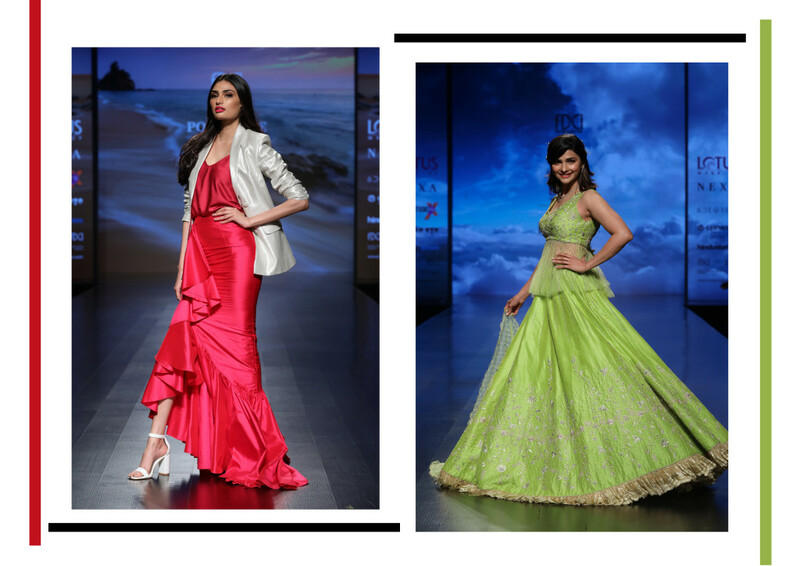 Though it was Prachi Desai, who emerged after a hiatus on the catwalk talking about how your choice of an ensemble mirrors who you are. “I feel like a bride’s dream wearing this. Conventionally we never think of wearing lime green as scarlet is the preferred option. We kept the makeup clean like a peach and pink tone. For me, my design ideology says less is more but from what I have observed new-age brides want subtle but statement-making outfits for their special day,” she smiled. Every star had her own take on occasion wear, Yami Gautam, believes it becomes easier when you love what you’re wearing and today was one of those days for her. “The colour and fabric as well as the craftsmanship should complement the body; every Indian girl looks graceful in Indian outfits no matter where you travel. Though it is heavy, we had an entourage, who were there to hold it for me. Once they left it, I felt the real weight,” she giggled. Day three at LMIFW saw interesting hair and makeup from crumpled tresses, to two pigtails emerging from one source to everyone’s favourite the top bun. 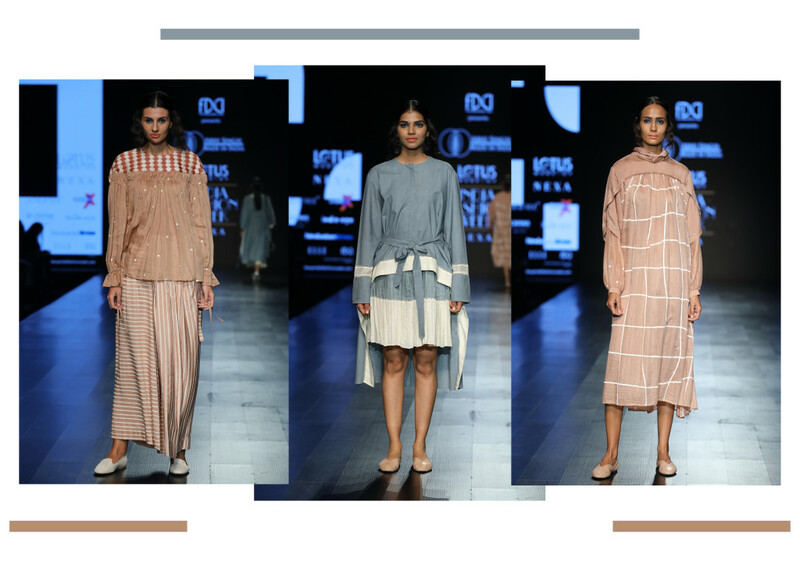 Abhi Singh is one of the quiet warriors at fashion weeks, but his silence says it all; this time his anti-fit dresses, with dropped waists and pleats in hushed hues made an impact. Reticence sometimes makes you learn more as an observer which is the case with Abhi, thus his rendition of tie ups and fabric flowers on geometric grids, replaced any need for embellishment. 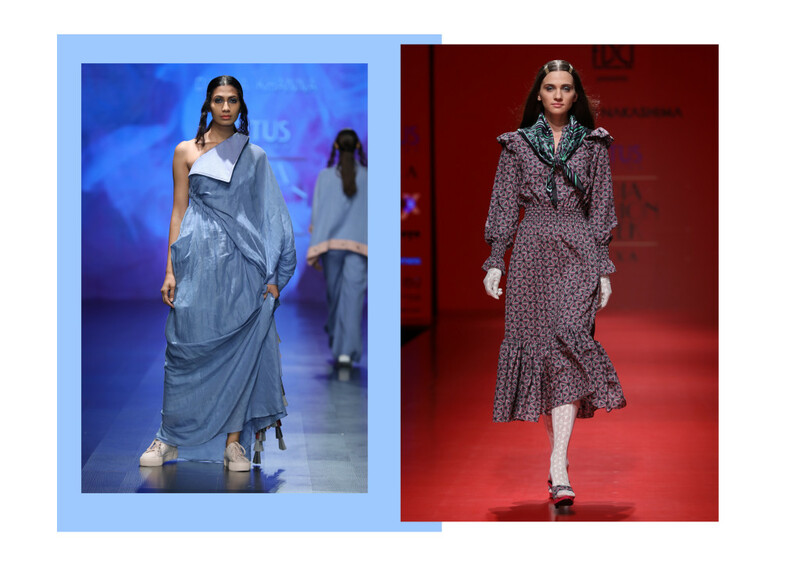 Mumbai’s Diksha Khanna has always juxtaposed soft with hard, organic with man-made that’s why the leather detailing on sleeves and collars blended in with the translucent fibres as denim were corded and twisted into cocoon shapes. While Munkee See Munkee do introduced the check pant suit for women a la Yves Saint Laurent much like the Japanese designer Atsushi Nakashima, who worked with the legendary Jean Paul Gaultier and also Jil Sander. The 60s innovation liberated women from the skirt and offered ease, but Nakashima’s colours give it a new dimension—- salmon pink, sea green and rust. He accessorised them with berets and offered easy-breezy summer printed dresses to women who now look for comfort. The beauty of fashion weeks is that it gives you a peek into the socio-economic political changes that reflect in the way we dress. From heavy to everything light is the new ritual with a focus on creating clothes which liberate. That’s why Lovebirds is relevant as its oversized offerings and zero waist concept has clicked with a generation that is fast-paced and doesn’t want to try too hard to impress. 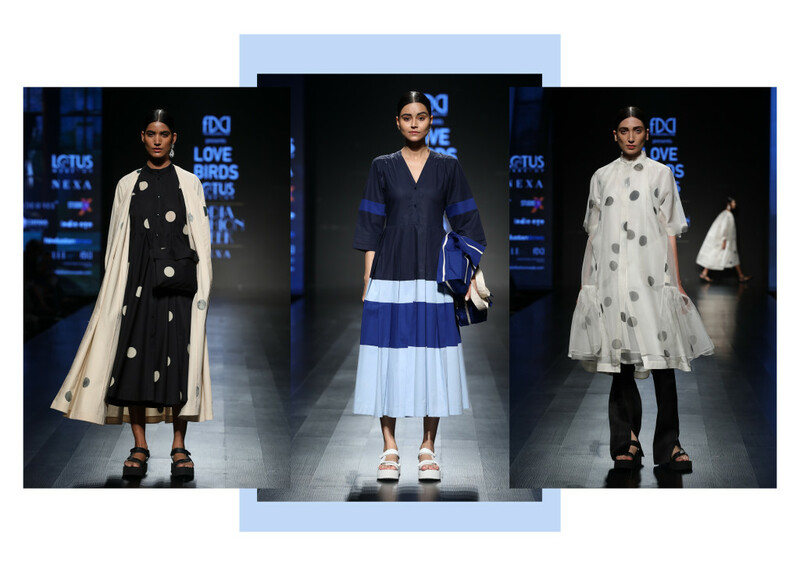 Ink blues have been their soulmate since Gursy and Amrita started, as the duo work more with polka dots that come each year with a different concept and colourways darker and lighter with stitching details, natural dyes and finest fabrics—satin-organza. Like always they did connect the dots!